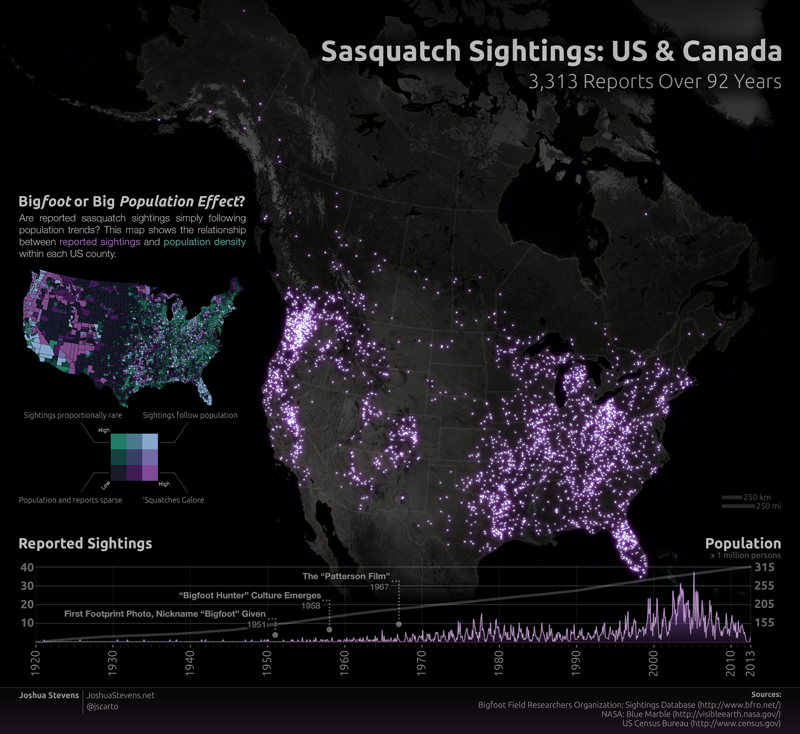 Found an awesome map via Maptacular showing 92 years of Bigfoot sightings in the US and Canada. Great information on Josh Stevens’ site. My take-away? I’m surprised at the number of Florida sightings as well as the spike in the 2000s and the relative decline in the last 4 years. Maybe Global Climate change is hitting the ‘squatches harder than other animals?? This entry was posted in Maps on December 8, 2014 by clubjosh.